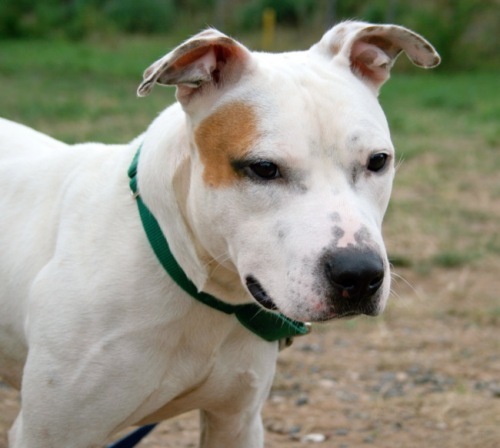 Pongo is a pit bull mix who is approximately 4 years old. He came to Eleventh Hour Rescue from Liberty Humane Society in Jersey City where he was picked up as a stray running around in a school yard. 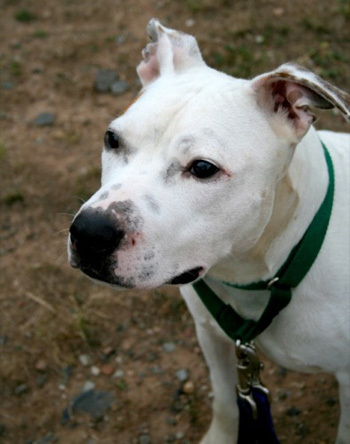 Shortly after arriving at Eleventh Hour Rescue, Pongo was enrolled in Basic Obedience where it was discovered that he was deaf. Pongo graduated Basic Obedience I and knows hand signals for sit, stay, down, and come. 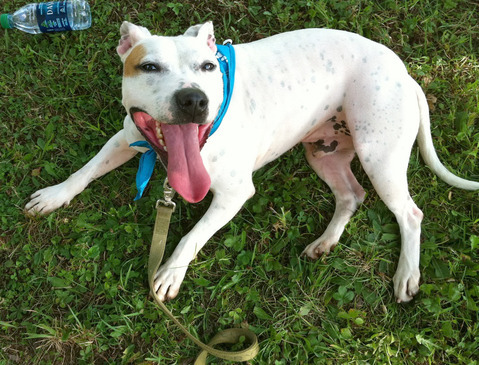 Pongo is an ambassador to his breed as he defies the common negative stereotypes placed on pit bulls. He LOVES other dogs big or small and would play all day if given the opportunity. He would likely do well with cats and has been in close proximity to them on leash without a problem. 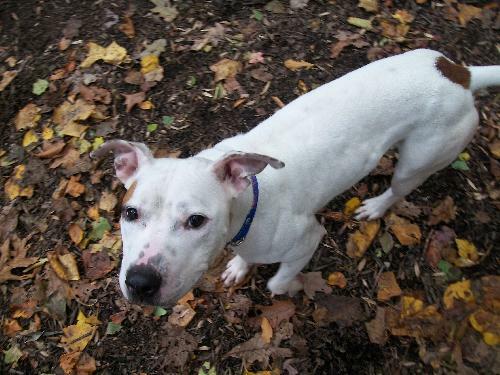 Pongo has yet to meet a person or child he doesn’t like and want to shower in kisses. 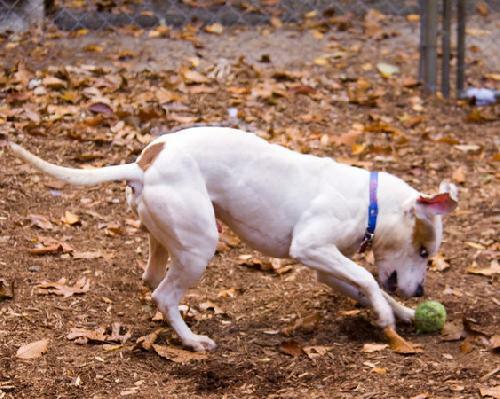 Pongo is a high energy dog who will require a good amount of exercise including structured activities like walks, as well as fun activities like playing fetch. He would love to be somebody’s running partner! Hiking, long walks, giving kisses, playing at the dog park, and snuggling are some of his favorite things to do. He is also currently learning to be a biking & rollerblading partner. While being housebroken can never be a guarantee, he seems to understand and embrace the concept of going to the bathroom outside. He has only had a few accidents in the house. Pongo is a very social boy who has spent a long time alone. He becomes extremely bonded to his people and tends to gravitate towards one person. He experiences extreme anxiety when separated from them. He will need a patient family that is willing to put in the time to work on this issue. His family will need to be able to provide him with vigorous daily exercise before he is left alone as this will make his separation anxiety much more manageable. This will be especially important while making the transition to his new home. Pongo is currently learning to walk on the treadmill to help shed some of his excess energy. 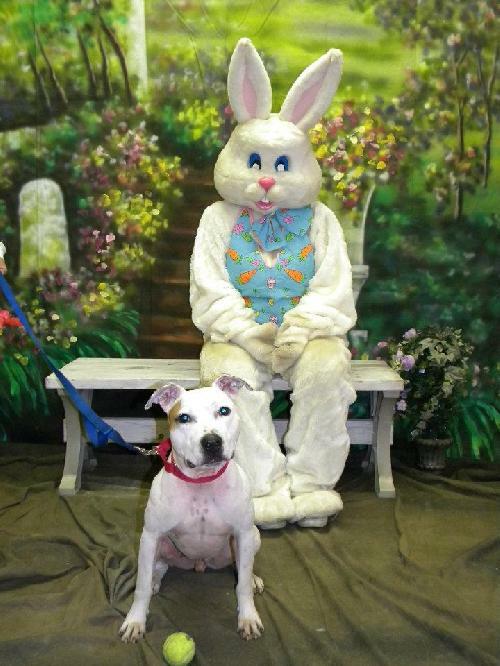 He would do best in a home where he does not spend prolonged time alone and/or if he was taken to a doggie day care while his family was not home. Pongo is a balanced dog in so many ways and I do believe that the separation anxiety will subside once he has structure in his life. 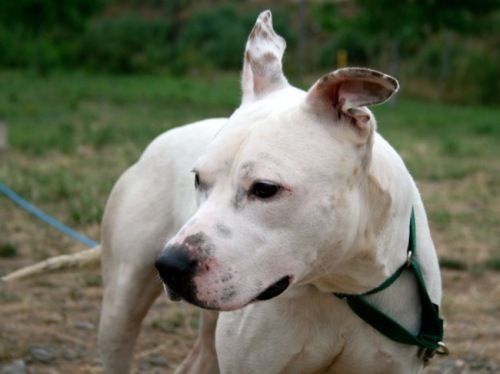 Pongo is a very special dog who deserves a very special family. 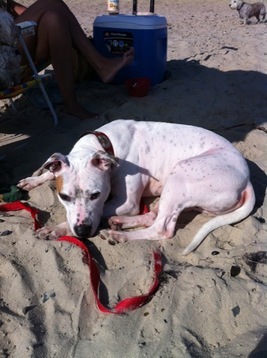 Pongo is available for adoption from Eleventh Hour Rescue which is located in Rockaway, NJ. You can visit them on Facebook, or on the web. Check out Pongo at the Dog Park!